“The true meaning of Christmas is the birth of our sweet Lord. He’s the reason for this season to be praised and adored. At that moment, I decided to nix the idea of a “real angel” delivering the message and instead use the Christmas Angel as a reminder for Shaan and I to focus on giving this holiday season. So, instead we discussed how, yes, this angel was a toy, but the message of the book is real and that Jesus is real and that we need to remember that God gave us the gift of Jesus and since we have been given the greatest gift, we should give to others. 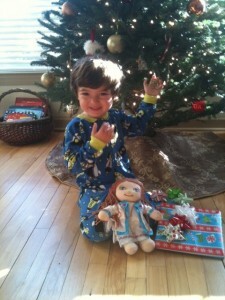 So, in summary, I LOVE, LOVE, LOVE “The Christmas Angel!!! 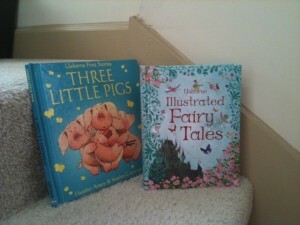 !” I purchased it at the recommendation of a friend whose Sunday School teacher created the product. While it looked like a great, purposeful gift, I had no idea just how wonderful it would be! 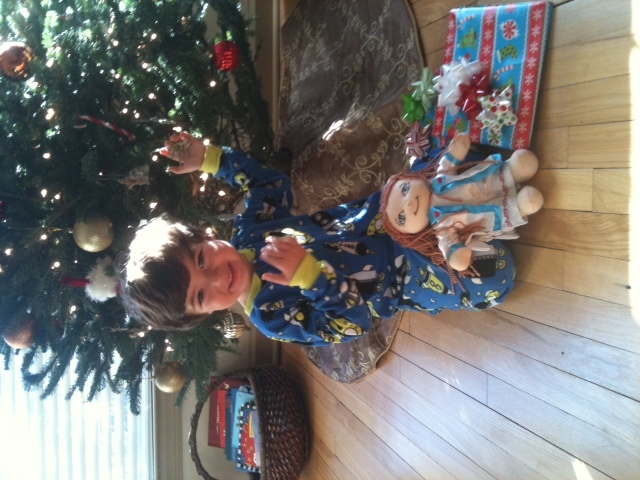 The angel doll is a lot bigger than I was expecting (as you can see in the pic above – Shaan will probably sleep with this angel during the holiday season). 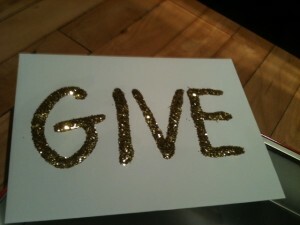 The gold glitter was fun to use as a craft with Shaan to create our “GIVE” envelope. 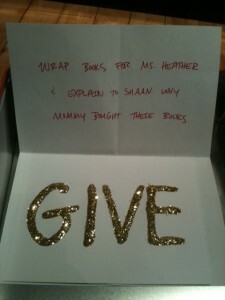 I love how creative and purposeful the “messages” allow us to be this holiday season. Our messages will be anything from “Make Christmas cards for family members,” “Take presents to Ms. Heather today,” “Drop change in a Salvation Army bucket,” “Bake cookies for neighbors,” etc…it can really be anything we do to “give” to others this holiday season. Lastly, I love the content included in the book and how I can tie in the content from the book to our memory verse we are going to memorize this Advent season. If you haven’t yet purchased The Christmas Angel, I highly recommend it! If you order now, you’ll receive it in time to use throughout the whole month of December. Love it Cammie – So glad that you shared this message and referral!! Also, you can register at http://www.yourchristmasangel.com for their 25 days of Christmas and they will email you ideas daily through Christmas (just in case you need help)! They are also doing a gift card give-away ($100 to Toys R Us) from their FB page for those of you with a Pinterest Account! Our kids are so similar! We can’t do it where the angel or elf does anything either so we are focusing on giving And doing something each day as well. 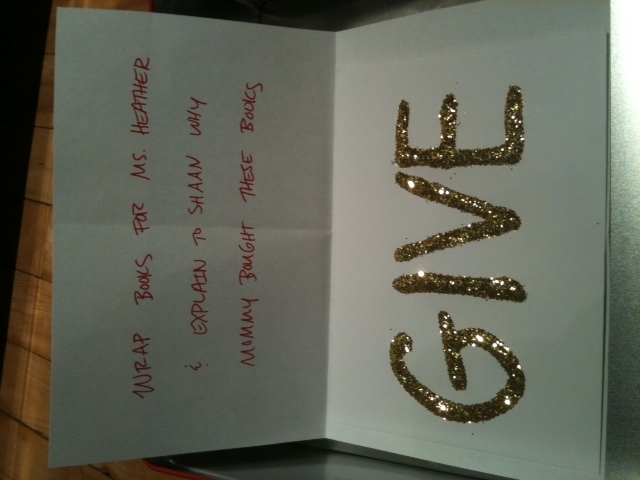 The angel, book and glitter are just for fun. 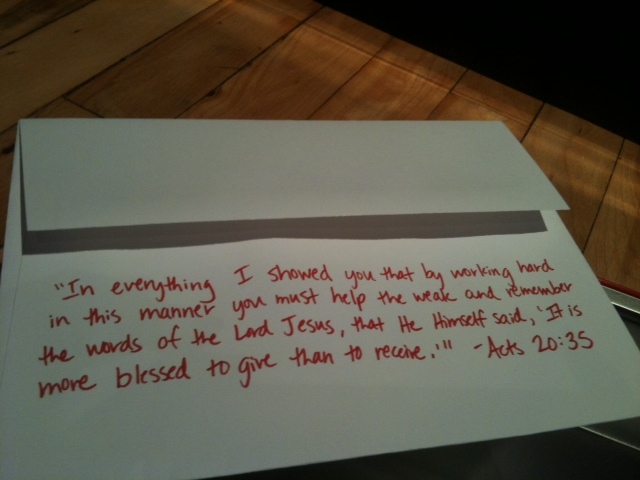 Going to add the verse you put on your envelope. Going to start our advent calendar tomorrow. The little people nativity one is cute where you add a different person or animal to it each day. Lifeway has these. Also hallmark has a neat happy birthday Jesus countdown ornament this year.